The central idea behind my work deals with our impermanent state of existence and how this drives humanity as a whole. Throughout life, we create connections between parent and child, human and animal, past and present, to add value to our existence. My artwork portrays this delicate balance between life and death, and how we can draw hope and beauty from it. By acknowledging that our time is limited here on earth, we are motivated to live life to the fullest, and let trivial pursuits subside. By reflecting the tangible things that evoke our memory once we are gone; my work offers a collection of nostalgia. These physical remnants serve as a reminder of how precious life is, and honors all things that pass. Originally from North Carolina, Kelsey Melville is a visual artist living and working in Seattle, WA. In 2010, she graduated from Appalachian State University, receiving a BFA in Studio Art with a concentration in Ceramic Sculpture. Working with a variety of materials and processes, the central idea behind her work deals with human emotion, thought, experience and connection. As an avid traveler, Melville gains constant inspiration through the ever changing landscapes of our world. Melville has exhibited her work in galleries throughout the U.S., including; The North Carolina Museum of Art, Delurk Gallery, and Studio 103. 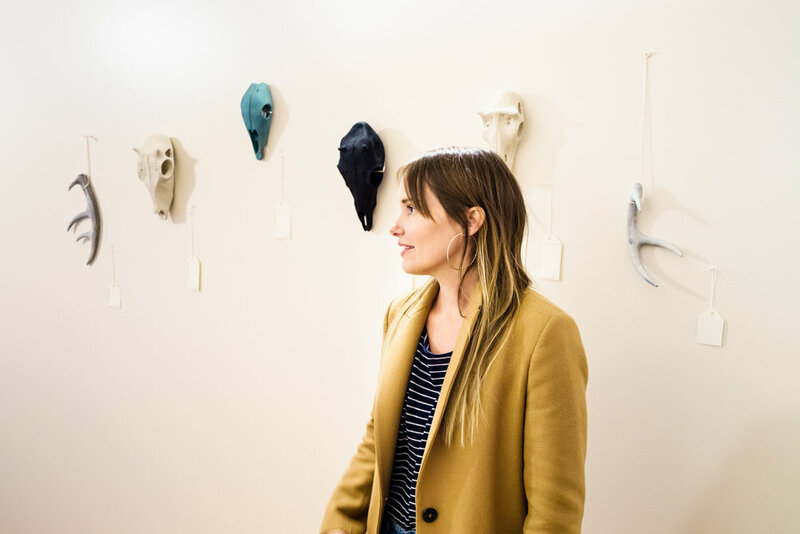 Having moved to Seattle in July of 2016, Melville hopes to continue growing her artistic career and make an impact on the vibrant arts community in her new home. for the constant support + encouragement.